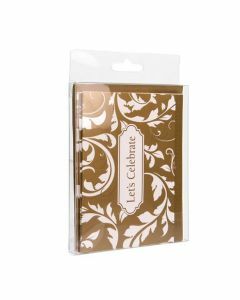 Stationery packaging needs to be retail ready, because your cards, envelopes, and other products need to attract customers to what is a very cutthroat industry. 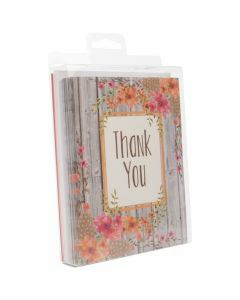 It’s your goal to capture people’s attention, and make sure that your stationery is ready to do so. 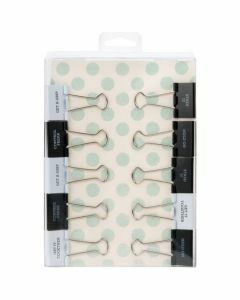 Our hanging stationery boxes can help you get there. 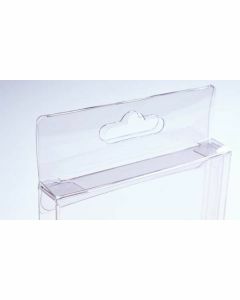 These retail ready boxes have both standard and center mounted hanging holes to help them easily fit on any retail store display. 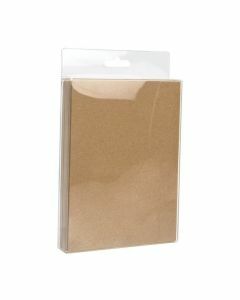 They are also Crystal Clear clarity, which helps ensure that each helps your cards and envelopes look their best. 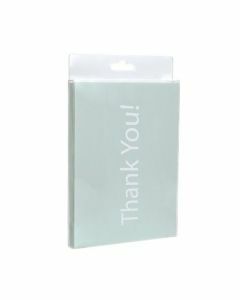 When you need a box that is going to make a visual impact in a retail setting, our hanging card boxes are a great choice. 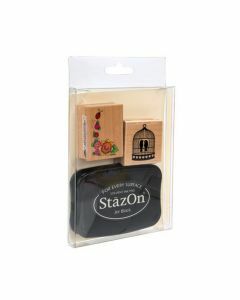 Make your product the center of attention with a crystal clear hanging box. 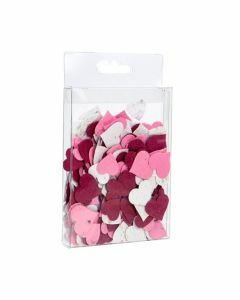 Package cards, individually wrapped candy, and more. 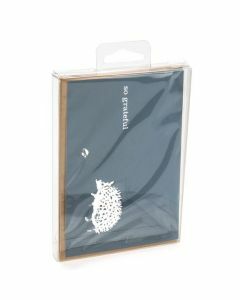 This CHFB17 center hang tab hanging box measures 4 1/2 x 1 x 5 7/8 and is ideal for 12 sets of A2, 5.5 Bar cards and envelopes. 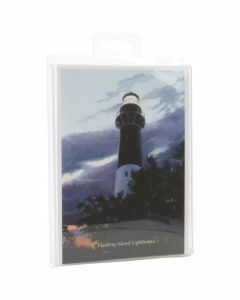 A hang tab centered on the top of the box allows a vertical display. Stickers are included; to purchase additional stickers click here to see our full list of sticker options.